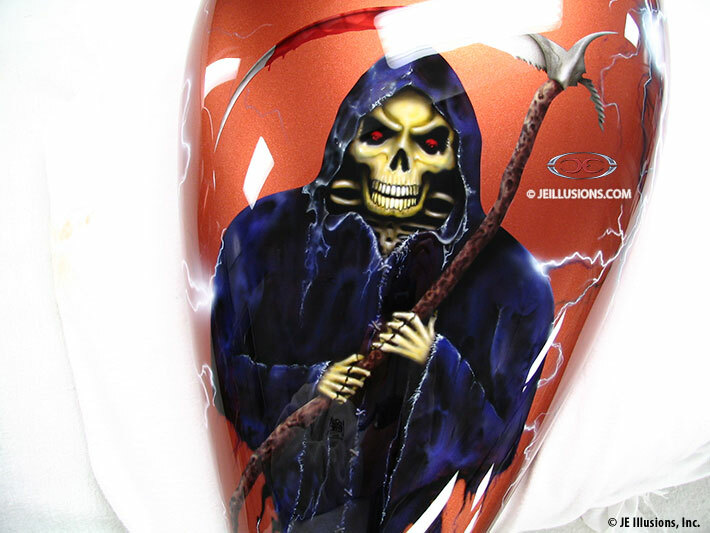 This Reaper is waiting for you! 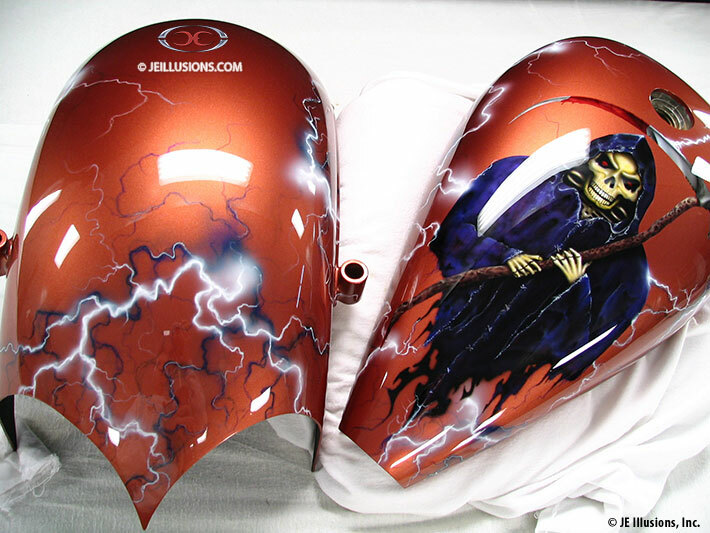 Highly detailed hand airbrushed Reaper holding a blood covered scythe covers most of the tank on top. 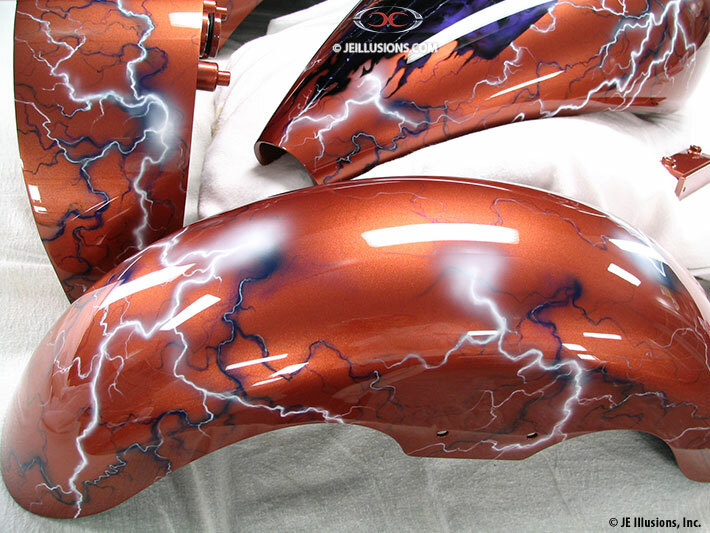 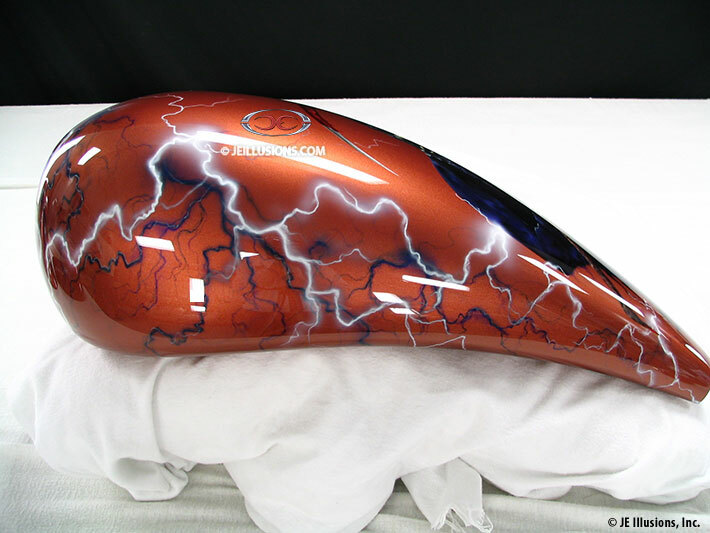 Hand airbrushed lightning bolts of White and Blue are flashing all over the fenders, tank and the rest of the body parts, all done over a high gloss Copper Pearl under-base.